Just as an FYI, they're a nice tight fit into the exhaust port (at least my two engines). If you have carbon buildup, sand it off first with a dremel, wire wheel, etc and it should fit right in. 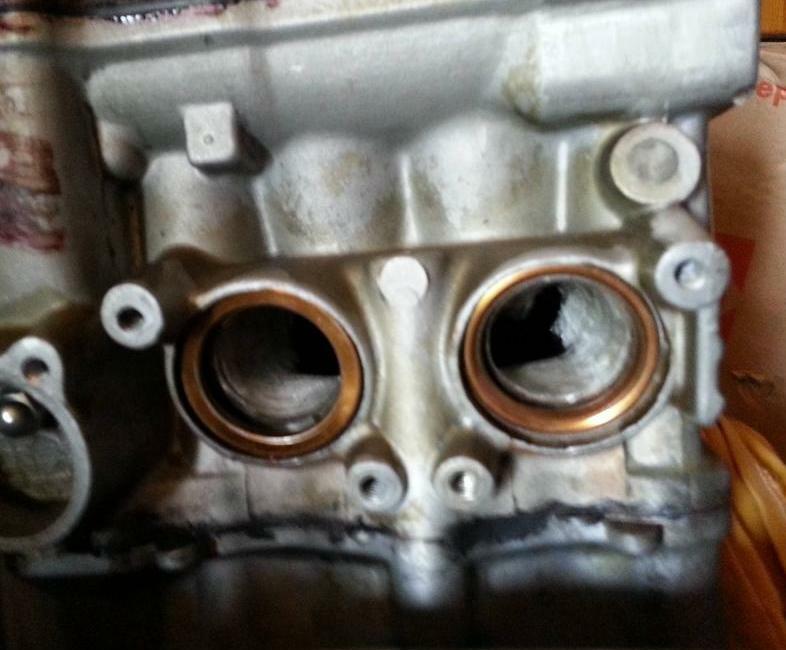 On the picture of my engine, the left one went in with just finger pressure, but now i couldn't pull it back out. The right one was a good fit but easily removable. In terms of gaskets, I'd rather have it tight than loose and leaking. I'll offer them up for sale to ROV'ers in sets of 2 for $2.50 USD. I did an estimate on USPS and I can ship up to 12 total rings in a bubble mailer for $3.00 to anywhere in the US via first class mail. If you're outside the US or want more than 12, send me an email first. I'm definitely not getting rich on this, but i'd at least like to break even. If anyone is interested, send me an email/paypal at bstoddar@gmail.com with your info/how many you want. For some reason I don't get notifications that I have messages here anymore. How do you want to be paid? Is PayPal OK or would you prefer a check? Or I could send cash, though the Post Office always warns about doing that. paypal works. bstoddar@gmail.com is my address. Thanks Blake, I'll send you a PM with my address.